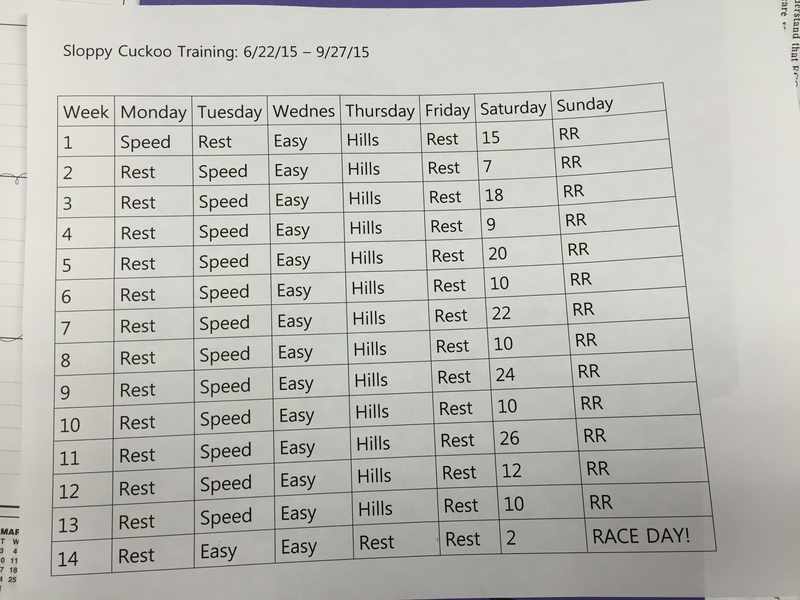 Sloppy Cuckoo Training Begins | (m)EAT LESS, RUN MORE! 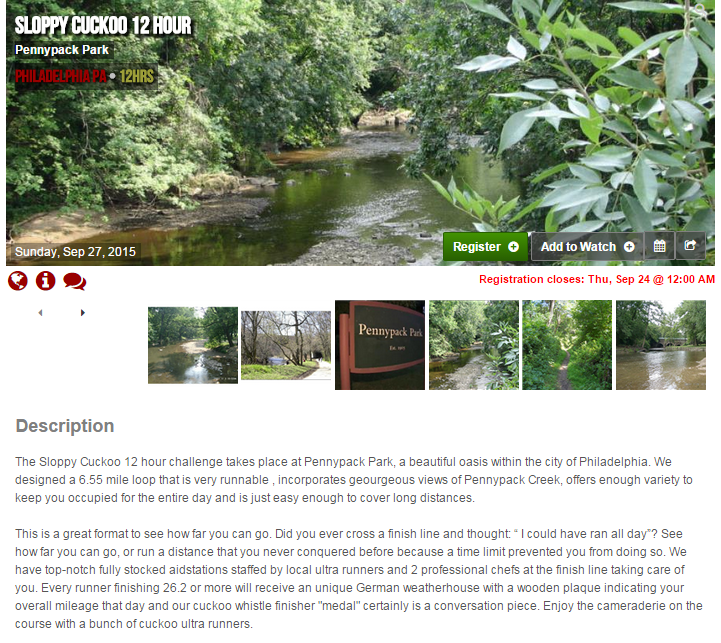 I’m officially registered for the Sloppy Cuckoo 12-hour Challenge! First off, I’m NOT planning on running for 12 hours straight! My goals are two-fold: 1) to (finally) become a marathoner, and 2) complete one extra loop (which would equal 50k) to become an ultra runner! I used to do my long runs on Sundays, but with the higher mileage it’s been working out better running on Saturday. Then I can mostly rest on Sundays, other than a short recovery run. I’m going to continue using run/walk intervals for the long runs because they’ve really been beneficial as far as recovery goes. The intervals also make the really long runs less daunting ;) For the shorter weekly runs, I either just run or do jog/run intervals. Looks like a great plan & actually sounds lime a fun race! I’d be tempted because I’ve always wondered if I could run more than 13.1 but too close to my half. Yes, I’m still hoping for it too! Well, one half at a time . . .
Oh, plus you’ll have already scoped out what it’s like. The only downside is it could still be really hot at that time of year! My Annapolis half started at 7 am. You know, I’ve been thinking about doing something epic on my 50th birthday next year. 50 miles seemed too much of a stretch for me, but 50k is definitely something I can do! Wow, then we can both say we’re ultramarathoners! Cool beans!! Yes, 50k is just an extra 10k! And I’ve noticed that ultras are way less strict on time limits. Maybe you (and Judy) could come out here next year for this one? Sounds like a great plan! I’m looking forward to watching you go! !